SHERWOOD, Ore. - Jan. 29, 2015 - PRLog -- “The L60 is a dream machine” claims Graham Wylie, National Fleet and Sales Manager for C3 Limited of New Zealand. Wagner’s new focus on safety and ease of maintenance has drawn interest from log yards around the world. Wagner, a division of Allied Systems Company, has been manufacturing specialized mobile equipment for the timber, pulp, steel and power utility industries since the 1930’s. All machines are designed and manufactured in the USA at Allied’s 250,000 square foot manufacturing facility south of Portland, Oregon. The Wagner Logstacker has been the backbone of some of the industry’s largest log yard operations. 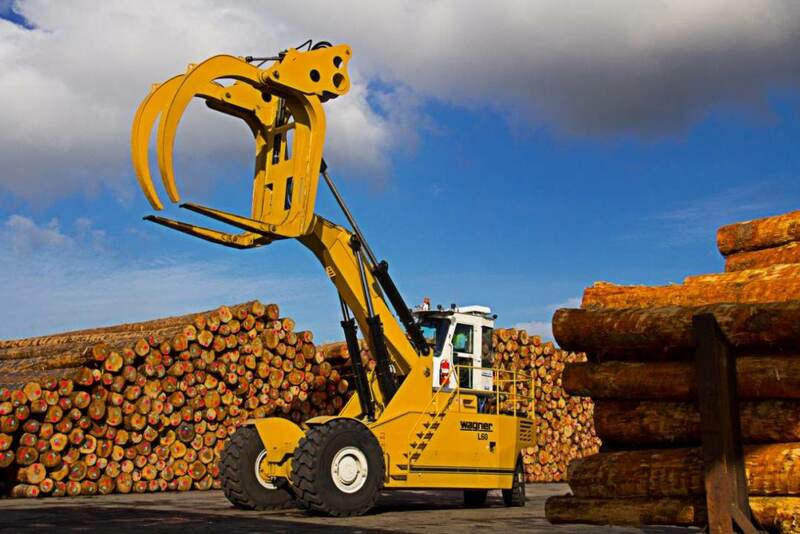 Recent shifts in the industry have created a need for a smaller, more agile machine to handle cut-to-length logs. Customers demanded a machine able to outperform anything else on the market. Rather than simply responding with a re-sized machine, Wagner accepted the challenge and took this opportunity to survey operators, maintenance crew and customers to design a machine that addresses all of their needs. Lighted stairway access and clear walkways around the machine provide for drastically improved access and safety. The new L60 allows all major maintenance to occur from the standing position using ground level service bays. The pressure check indicator allows quick troubleshooting of the six major hydraulic systems with the push of a button. Upgraded vehicle monitoring system allows plant managers to view real-time location, speed and fuel efficiency among eighteen reporting parameters remotely from any computer, tablet or smartphone. Operator comfort is also a key differentiator, the Wagner L60 is the only machine in its class with a rotating operator’s platform. Coupled with the industry’s lowest total cost of ownership driven by low fuel consumption, long tire life, and proven Wagner durability, these new features provide a value-laden, purpose-built solution that operators and owners will appreciate. The whole project has been customer driven with great feedback. The process has been so successful that even before the first machine is delivered a second is on the production line cementing the commitment to Allied on this new endeavor.